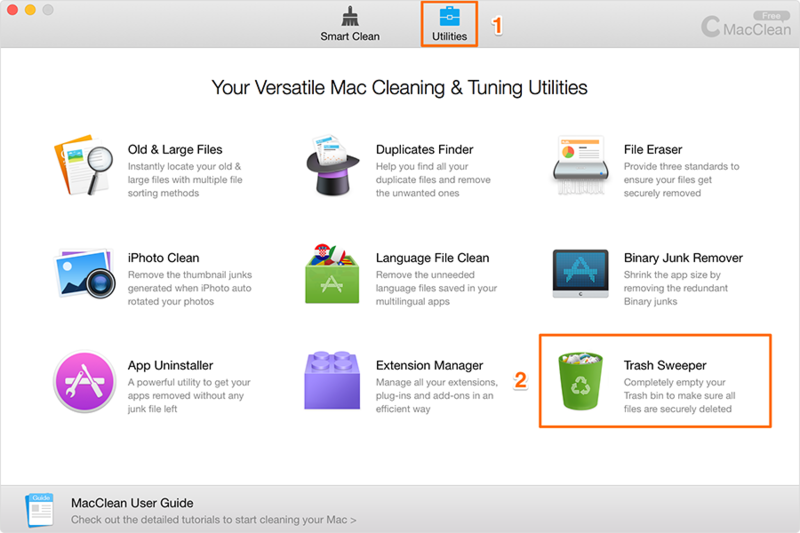 When the Trash bin contains your personal file and you want to erase it permanently for privacy security, emptying Trash is not enough then. Removing it with MacClean is a viable way. 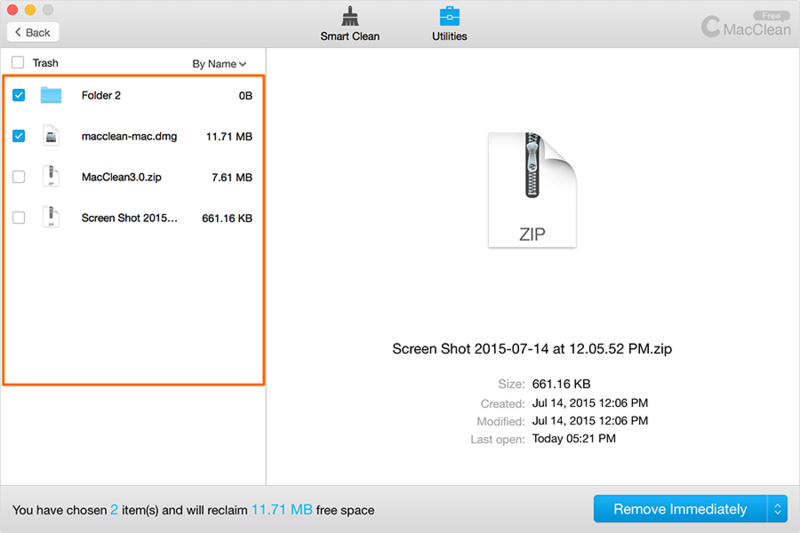 Read on this tutorial to find out and clean up your Mac deeply. 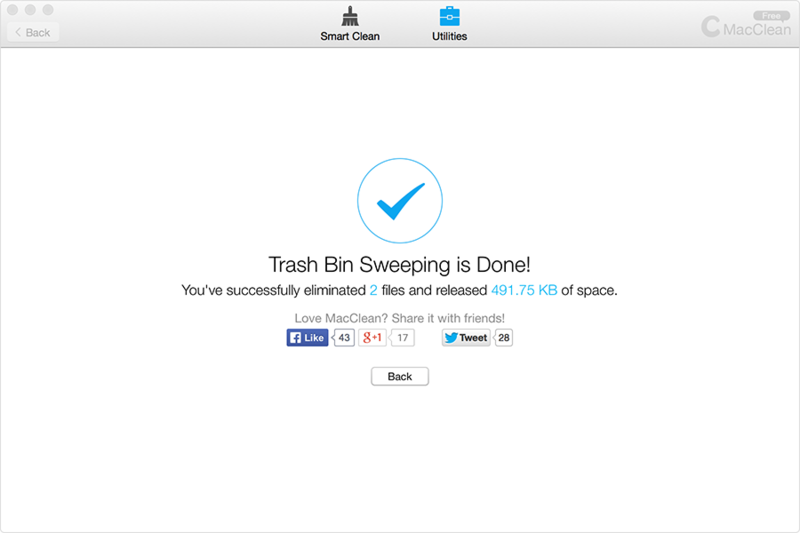 MacClean automatically lists the files in your Trash Bin. You can tick any single file in the left or Click Trash in the upper left corner to select all. 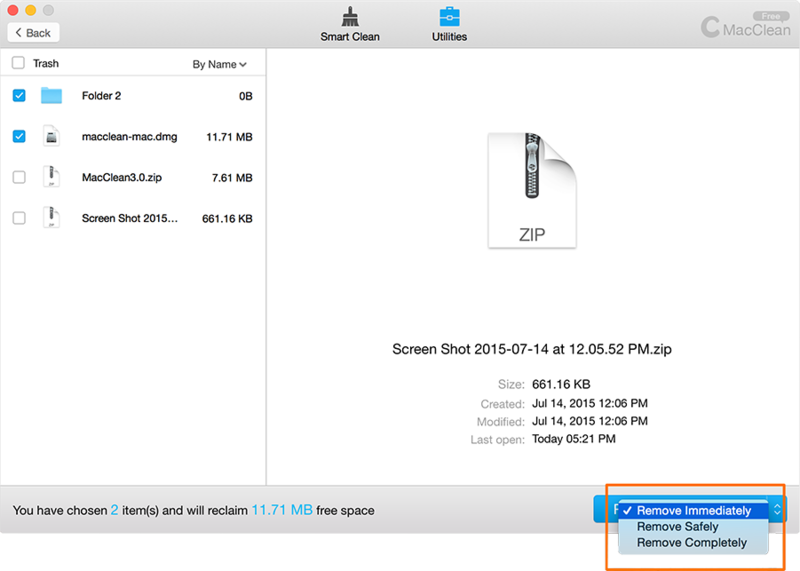 The security lever goes up from Remove Immediately to Remove Safely to Remove Completely, which means the deleted data is less and less possible to be recovered.